It’s the stuff of homeowners’ nightmares: you think you might have a water leak, but you have no idea where it might be. Unfortunately, that unseen leak could very well be causing serious damage that could cost thousands to repair. The sooner you find and fix the leak, the better off you’ll be. Luckily, this is easier than you might imagine. This is because all of the water your home uses travels through a single source: the water meter. This meter measures your water usage so your utility company knows how much to charge you. But you can also use this information to track your own water usage, and in this case find a leak. First, go around and make sure nothing and no one in your home is using any water. Turn off all faucets, washing machines, dishwashers, etc. Now, go look at your water meter. If the dials are moving, chances are, you have a leak. But even if they aren’t, you should still wait an hour or two and then check to see if any change has been registered, to ensure you don’t have a very small leak, which might not be initially visible. 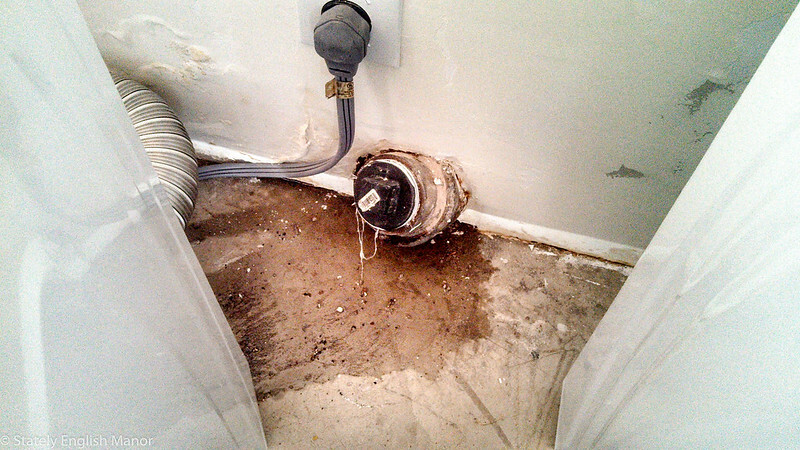 If you’ve identified that you have a water leak, what do you do next? You can always find a plumber to help you at any point throughout this process. But if you’d like to diagnose the problem on your own, the first step is to determine whether the leak is located inside or outside your home. To do this, begin by finding your home’s main shutoff valve and closing it. If your water meter continues to show water being used, you know the leak is outside. If you’ve determined that your leak is outdoors, the good new is that the list of potential locations for the leak is fairly short. If you have a swimming pool (which requires its own process), irrigation system, or an outdoor tap, check all of those. If the leak is outdoors but none of these locations matches, it’s likely under your yard in the meter lines. Finding an underground leak like this may require a bit of digging, but first search for signs of leaking water, such as soft muddy ground. Bear in mind that if you can spot the leak without having to hire a plumber to find it, you can end up saving a bit of money in the end. But in general, most water leaks are indoors. The most common place for a leak is in your bathrooms. Begin by taking the lid off your toilets and listen for any running or hissing sounds from water. If you hear something, you can turn the valve to shut off the water to that toilet while you fix the problem. Then, take a look at your bathtubs, showers and sinks. Here, any leaks should be more visible, but keep an eye out for small ones as well. If you can’t find anything there, check the pressure release valve on your hot water tank (if you have one). Once again, if you hear any hissing sound, that may be escaping water. Lastly, if you’re sure you have a leak and it isn’t in any of these places, it may be with your home’s hose bibs. These are the places where you can connect a hose to your house. Like with the other areas, listen closely for the sound of water leaking. You can even place a metal item on the hose and place your ear next to it to listen for any vibrations. If you’re still unsure after checking all these places, it’s probably time to call a plumber. As we’ve mentioned, by far the best way to tackle home water leaks of all kinds is to prevent them. There are a few ways to do this. First, ask yourself if it’s time to upgrade your plumbing. Unfortunately, depending on the type of pipes in your home, they may have to be replaced every few decades. Next, you should consider investing in preventative technology, like tankless water heaters. Finally, to guard against surprise leaks, you can invest in a smart home leak detection system with an automatic water shutoff valve. Such a system will detect when water is leaking from a pipe in any location you’ve placed a sensor, and then shut off your main water valve within seconds, preventing any major damage from occurring. Ultimately, the best solution is a combination of vigilance and investment in the right tech to keep your home protected.